The index saw a gap-down open but saw some buying interest to move above previous day close and oscillated within a narrow range to close just positive at 8355.65, gain of 14.95 points. The broader market was also positive, with 963 advances to 559 declines. Range has narrowed down to 8300-8600. Call option 8300-8600 added huge 11.75 lacs OI with profit booking seen at 8700 and above strike prices. 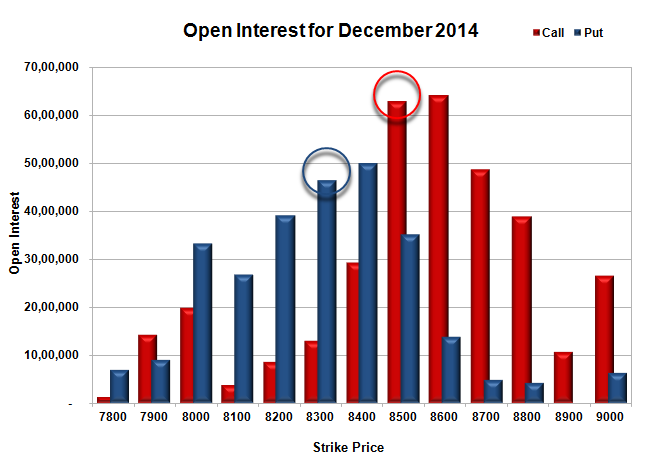 Put option 8200, 8000 added huge 7.82 lacs OI with short covering seen at 8400 and above strike prices. Nifty Open Interest is at 2,19,81,675 down by 1,49,225, with small increase in price, probably long liquidation/short covering. 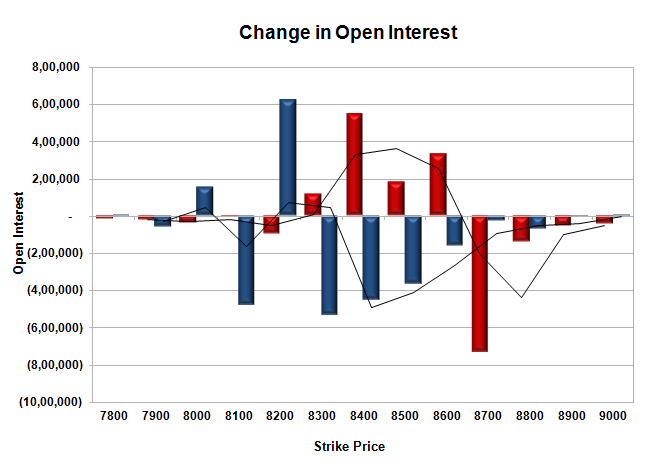 Bank Nifty Open Interest is at 18,50,550 up by 14,075, with increase in price, probably long build-up. FII’s sold huge 8.95 lacs Futures, which includes 21573 contracts long liquidation and 14237 contracts short build-up, with decrease in net OI by 7336 contracts (includes 32627 longs to 68437 shorts for the day) and the Average Price comes to 8598.32. FII’s Index future open contract as on date is 639909 Longs to 110227 Shorts, net long 529682 down by huge 35810 contracts. Initial and best support still at 8300, with huge OI of 46.33 lacs and below that at 8200 with OI of just 39.11 lacs. Initial resistance at 8400, with huge OI addition of 5.45 lacs and above that at 8500 with huget OI of 62.81 lacs. 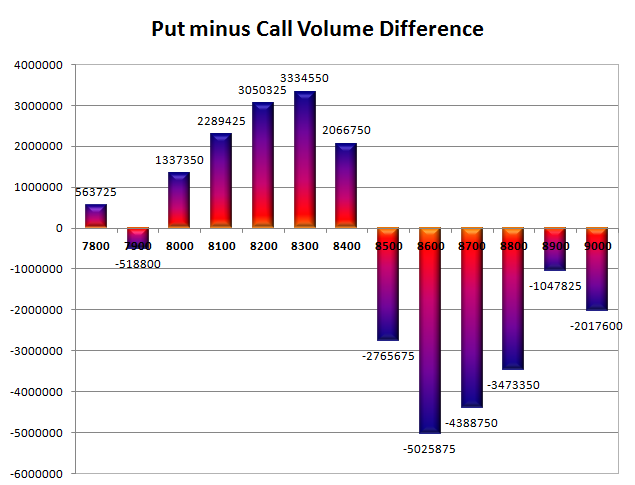 Day Range as per Option Table is 8294 - 8413 and as per VIX is 8302 - 8409 with 8350 as the Pivot.